Talk of Amazon’s delivery drones scarcely goes off the boil for more than a few weeks before some new bit of news or development brings them right back into the headlines. The problem with the whole scheme, however, is while the Federal Aviation Authority (FAA) is slowly making changes to rules concerning the use of drones in a commercial capacity, they’re not changing anywhere near fast enough to imagine Amazon drone deliveries this year or next. “The UAV may utilize this information to plan the route from the source location to the delivery location and/or to modify the actual navigation of the route. In addition, in some implementations, the UAV may consider other environmental factors while navigating a route. 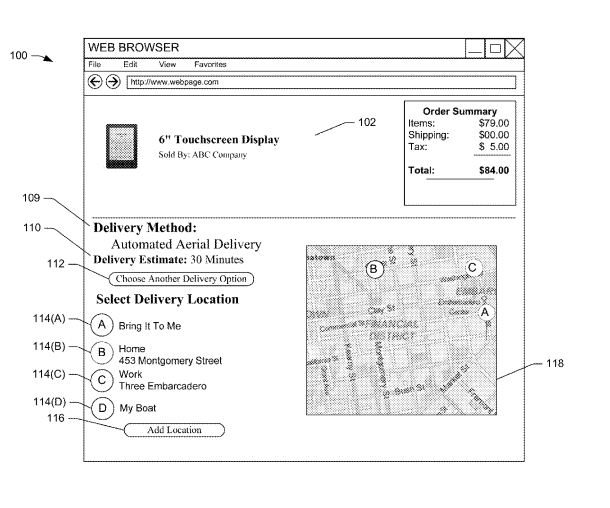 “In some implementations, the location of the user may be maintained and updated until the item is delivered to the user […] For example, the user may place an order for an item while at home, select to have the item delivered to their current location (delivery within 30 minutes of the order) and then leave to go to their friend’s house, which is three blocks away from their home. 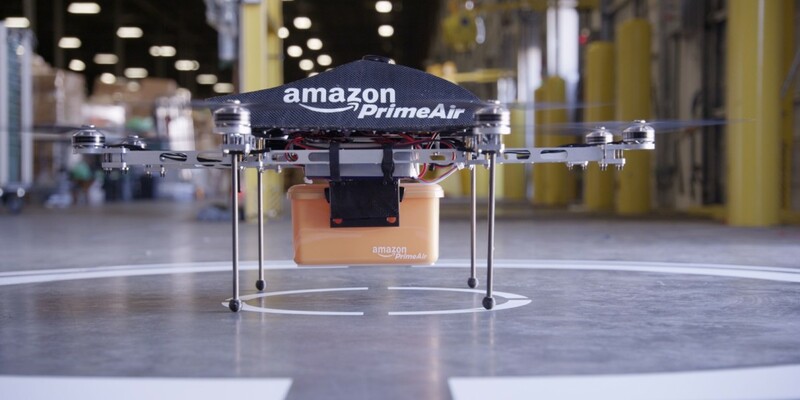 While it doesn’t bring delivery of Amazon items by drone any closer in the real-world – that will require a whole lot more regulatory wrangling – it’s nice to get a better idea of the sort of options it could be planning for the future. Let’s just hope they can stay in the air a little longer than a regular, off-the-shelf consumer drone, else they won’t get very far.